Three UNH students have received National Science Foundation Graduate Research Fellowships, one of the nation’s premier national science, math, engineering and technology (STEM) scholarship competitions. The recipients include Mark Anthony (natural resources) of Hinsdale, Massachusetts, and Rory Carroll (Earth systems science) of Dover, New Hampshire, both second-year graduate students, and Herbie Smith, a senior physics major from Rocky Face, Georgia. NSF GRFP fellows receive up to three years of support, including an annual $32,000 stipend, a $12,000 cost-of-education allowance and opportunities for international research and professional development. This year, more than 16,500 applicants competed for 2,000 awards. Anthony’s research explores the connections between climate change and non-native plant invasions. In particular, he examines how microbes respond to interactive shifts in global conditions, with a focus on elevated mean annual temperature, anthropogenic nitrogen deposition and non-native invasion by garlic mustard. 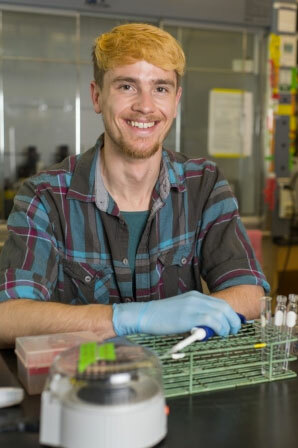 Anthony, who works in professor of natural resources Serita Frey’s lab, collaborated with other graduate students to develop a novel bioinformatics program that is faster than traditional methods, as well as a complete bench-to-computer pipeline for barcoding microbial DNA. His scientific engagement extends beyond the lab. Anthony founded oSTEM (out-in Science, Technology, Engineering and Mathematics) @ UNH, which has worked to create a STEM environment that is more diverse, inclusive and allied around LGBTQA+ and intersecting identities. He is the graduate student representative on the UNH President’s Commission on the Status of GLBT issues and the director of Stonewall Graduates. 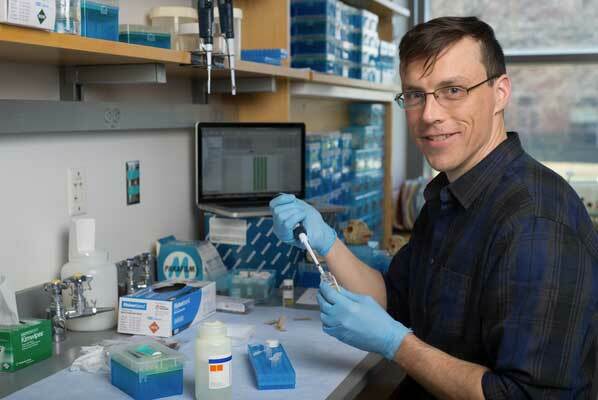 Carroll’s research, under professor Marian Litvaitis in natural resources and the environment, investigates the landscape genetics of bobcats. He plans to actively involve undergraduates in the work. Further, his work engages community members and citizen scientists; he is collaborating with biologists and sportsmen from New Hampshire to Quebec to characterize bobcat population structure in the greater New England region. A volunteer graduate mentor for the UNH McNair program, which prepares high-achieving underrepresented undergraduates for graduate study, Carroll is currently a McNair graduate assistant. Additionally, he mentored students while at SUNY Plattsburgh and did outreach to middle schools while working at the Lake Champlain Research Institute. Smith began his senior year at UNH fresh off an NSF-funded summer Research Experiences for Undergraduates in Geneva, Switzerland, at CERN, the European Organization for Nuclear Research and site of the Large Hadron Collider. 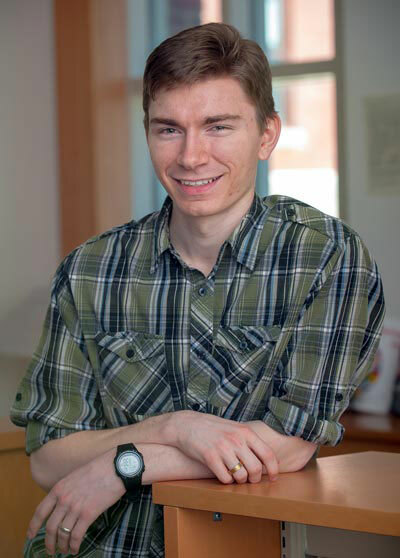 He has conducted research on high-energy theoretical physics with UNH professor Per Berglund. Smith is an honors program student and member of the McNair program and has also served as co-president of the Society of Physics Students, through which he actively tutored UNH students and established an outreach program to tutor local high school students in math and physics. Students applying for NSF-GRFP funding through UNH receive application preparation assistance from UNH’s Graduate School, the Office of Research Development & Communications and the Office of National Fellowships, as well as from their faculty advisors. Honorable mentions in the NSF GRFP 2014-15 competition were awarded to Sophia Burke (Earth sciences), Lindsay Havens (genetics) and Erik Swanson (microbiology).